If you’re on a quest for Superhuman Savings in Australia – never fear, because Captain Compare is on your side. He’s Australia’s own comparison superhero! Read on below to see what makes Captain Compare tick and hear more about his story so far. The Captain Compare Story… so far! The web is quickly turning into the fastest way of comparing all manner of products and services. 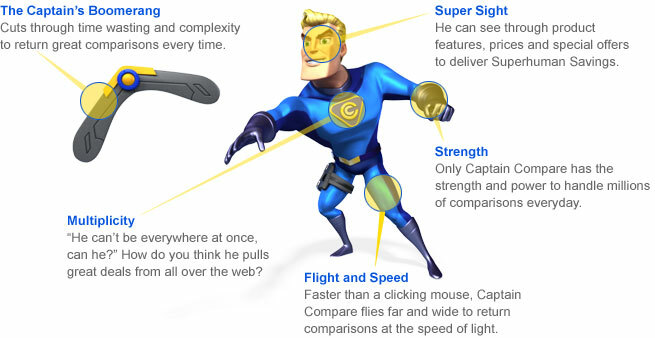 Captain Compare was one of the first off the mark, when in 2006 he started comparing car insurance in Australia.